CONCORD—Today, Senate Majority Leader Dan Feltes led Senators Martha Fuller Clark, David Watters, Jon Morgan, and Dr. Tom Sherman in a letter to Governor Chris Sununu urging him to direct the Attorney General of New Hampshire to join the lawsuit filed by sixteen other states challenging President Trump’s emergency declaration. The emergency declaration threatens to raid $224 million in funding for the Portsmouth Naval Shipyard. The Senators are urging the Governor to join this lawsuit because the declaration is not constitutional and could hurt both the Shipyard and American national security for years to come. Last week, the Trump administration announced that they were considering raiding the Portsmouth Naval Shipyard for $224 million in funding for military construction projects. The Shipyard is the Seacoast’s largest employer, and earlier this month the Seacoast Shipyard Association petitioned the Trump administration not to take their funding. U.S. 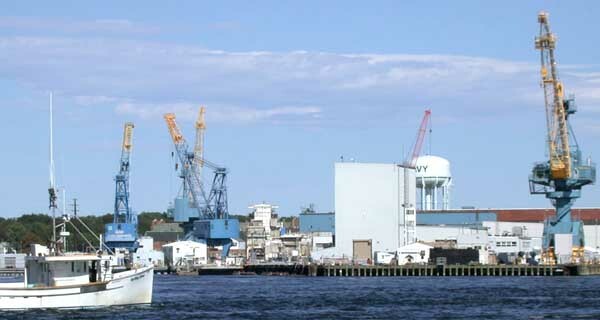 Senator Jeanne Shaheen (D-NH) has led the New Hampshire federal delegation’s efforts to ensure that shipyard funding would not be raided through the emergency declaration, and Senators Shaheen and Hassan joined 12 Republicans in passing a bipartisan resolution to block the President’s emergency declaration, that he has since vetoed.